It may not have an agreement to sell Apple’s iPhone but China Mobile, the world’s largest operator, is set to get its very own dose of Siri after it confirmed it has struck a $214.85 million (1.36 billion RMB) deal to acquire a 15 percent stake in Anhui UTC iFlyTek, a Chinese company that develops Siri-like software and apps. The announcement comes one week after the operator disclosed that it was negotiating with the text-to-speech specialist to strike a ‘strategic investment’ agreement. Interestingly, the tie-in will also see the two companies begin a partnership to cooperate on the development of applications and products. That’s something China Mobile is almost certain to use to develop products to fight Apple’s virtual personal assistant, which is set to get local language support with the upcoming iOS 6 update. Furthermore, the investment will see China Mobile — which boasts 683 million subscribers — place an exec on iFlytek’s strategic committee, which it says assists with the development of strategy and investment decisions. iFlytek is set to power Xiaomi’s upcoming Mi2 smartphone, which was unveiled last week. The device is much anticipated by fans of the Chinese smartphone maker — often likened to Apple — and, with the China Mobile deal now in place too, iFlytek is about to take its brand visibility to the next level. The 2003-founded company specialises in text-to-speech software for businesses, enjoying dominant market share, though it does have a number of offerings for Android. Its flagship iFlytek Voice Input app has been downloaded more than 100,000 times and has an impressive average rating of 4.6 in the Google Play store. The timing of this news is interesting as China Mobile and iFlytek are among the 19 companies that recently formed the Speech Industry Alliance of China (SIAC). As MIC Gadget reports, the group is aimed at working to develop a high-quality Siri competitor that handles Mandarin and Cantonese, the two languages spoken to the country. Apple is readying Chinese language support for Siri in its upcoming iOS6 update and the country’s mobile industry is believed to be fearful that Apple and its partner operators could enjoy a huge advantage in the smartphones sales war. To that point, China Mobile is the only Chinese operator that doesn’t offer Apple’s iPhone which is almost certainly the root of its interest in iFlytek. Discussions between the two tech giants have been ongoing for some time though, with Apple’s lack of support for the operator’s unique (TD-SCDMA) 3G mobile network the sticking point. Apple is said to have promised to bring the iPhone to China Mobile at some point but, given that it does not allow operators to pre-load or modify its hardware pre-sale, the development of a Siri-like service would be strictly for China Mobile’s Android and other devices. That could create an interesting dual-approach, should the operator finally land a deal with Apple. Japan’s DoCoMo has gone down a similar path by developing its own Siri-rival as it too has been unable to agree to a partnership with Apple, due to the software policy and the US firm’s insistence that the operator’s shipments must include a fixed volume of iPhones. 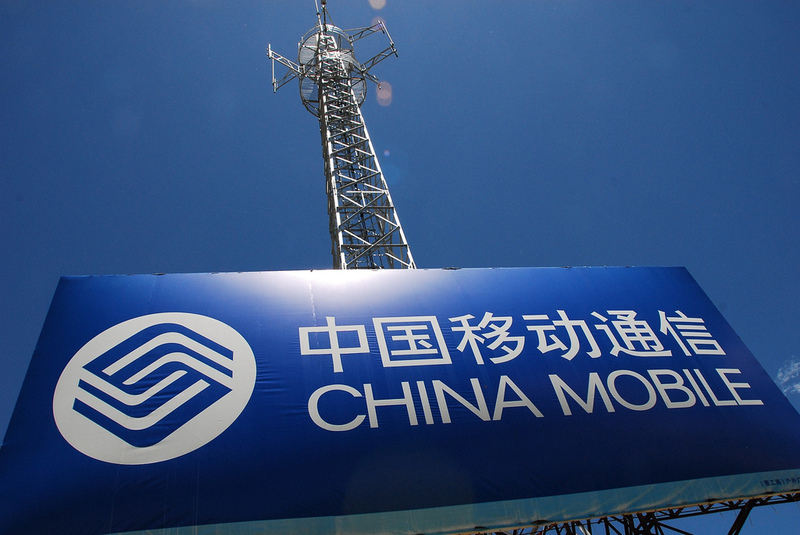 China Mobile’s filing to the Hong Kong stock exchange said that the deal between the two listed companies will go through before June 30 2013.